OpenCart is a free online platform for managing e-commerce sites. If you want to open your own online store, it’s the perfect place to start building your business. OpenCart is programmed in PHP and based on a MySQL database system and the software is open-source and free to download and update. 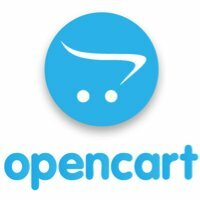 First created by British developer, Daniel Kerr, to power his own e-commerce project in 2005, OpenCart is now on its third major release. The platform has been used to build more than 300,000 online stores over the past 14 years. Behind OpenCart’s straightforward interface lies a powerful back end that covers all the essentials of running an online store. Your store’s product range is easy to update, and you can keep track of orders, tax payments, discount codes and so forth. The platform also provides built-in search engine optimisation, making your store more prominent in relevant Google searches, which in turn will get you more visitors (and potential customers). Beyond the default look and functionality, there is a wide variety of alternative themes, extensions and other add-ons to choose from. The software can be modified to suit your requirements, which gives the platform a large amount of flexibility, as it’s full of tools that will help you build the ideal store for your business. Why purchase OpenCart hosting with Catalyst2? By purchasing OpenCart hosting with us, you can guarantee great value. Our competitive prices and great service make for a compelling choice to set you up with a versatile OpenCart hosting plan. You can use our online tools to find the perfect domain address to match the identity of your store and link it to your hosting account. Alternatively, if you prefer, we can link the site to a domain you already own. As straightforward as the software might be to use, sometimes difficulties can arise in setting up and managing your online store. Thankfully, if you set up your OpenCart site with us, we will provide round-the-clock support to troubleshoot any hiccups that may occur, making sure you are back up and running in no time. We respond to all emails within 24 hours, so you won’t be waiting days on end for an answer. Some of us need a little convincing that we’ve made the right choice. Luckily, with Catalyst2, there is a 30-day cooling-off period provided with our web hosting products, so if you change your mind, all is not lost! Since 2000, Catalyst2 has been a trusted provider of web hosting solutions for many thousands of organisations and individuals. A cornerstone of our business is high-quality support, which is hard to come by in the online world. We work around the clock to answer your queries and make sure that you get value for money and don’t end up high and dry when technical problems occur. We’re also keen to make things as straightforward and easy for you as we can, so if you want to take the next step and get started on a web hosting solution to suit your business, give us a ring on 0800 107 7979 and we’d be happy to talk you through the options. We look forward to answering your call!